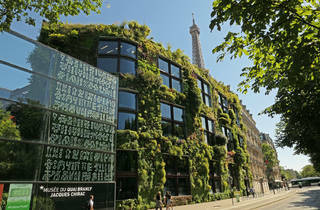 designed by famous Jean Nouvel. continents and centuries, meeting treasures from the other side of the globe, including some anthropomorphic dogon statue from 10 th century Mali, masks from Gabon, Vietnamese tunics, Aztec figurines or feathered costumes from Peru. The museum hosts a vast and rich permanent collection, as well as several temporary exhibitions throughout the year, dedicated to contemporary art and the promotion of these far away lands’ civilizations. Peru is known to be the land of the renowned and great Inca empire, whose fame and greatness are symbolized in its impressive Machu Picchu site. However, before that, it was the home of four civilizations, as eminent as ancient Greece. Indeed, four rich and prosperous societies successively settled between the Andes and the Pacific Ocean. 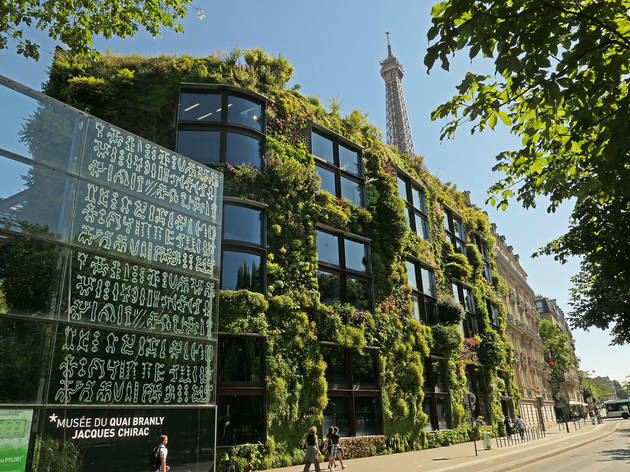 The Musée du quai Branly – Jacques Chirac honours these now-forgotten cultures, which are, for some reason, too often passed on. Thanks to recent archaeological investigations, we know more about the first cities of this region, the northern coast of Peru. Archaelogists’ patient work enabled to dig up some objects, presented in this exhibition, which proposes a unique insight into these societies, in order to decipher and understand the origins and the organisation of power within them. Spectacular cities with lordly castles, anthropomorphic gods sculpted or painted on jars, kings’ and craftsmen’s graves filled with offerings, priestesses and governors with their symbols on… These are the elements that, brought together, question and manage to inform on how men conceived their social rank into society. Besides the huge amount of painted ceramics, which display the representations of the people’s ideas and realities of that time – fauna and flora, war, the gods… -, this exhibition also displays unusual objects, such as jewels and tools. Thanks to the scenography and the informative materials, we can perfectly grasp the meaning and power of their presence. A rich yet accessible exhibition, Before the Incas opens up a historical breach, giving these cultures the credit they deserve, in a scientific and beautiful way.